Softwash Ranger understands how important your appearance is to your customers, we’ve made it our top priority to make sure your appearance is stellar. Pressure Washing can damage some materials like Dryvit & Eifs exterior systems. We use our exclusive SoftWash SystemsTM technology to properly clean your Dryvit & Eifs without blasting wand strokes and holes into the surface. At Softwash Ranger, our North New Jersey Dryvit & Eifs Cleaning experts have the experience and equipment to get our customers optimum results for their exterior surfaces. 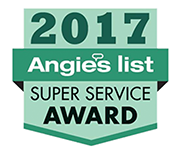 We customize our service to meet your precise needs and offer a 100% sanitized guarantee (algae, mold, mildew, fungus and bacteria free). At Softwash Ranger, our gentle yet extremely effective exterior softwashing service eradicates years of grime and growth, brightening your curb appeal. To see the difference and setup a free, no obligation demonstration and quote, give us a call at 844-438-7638 today! Cleaning agents like bleach, acid and other harmful chemicals would be used on any exterior, whether it was made of brick, vinyl siding, masonry, or cedar. 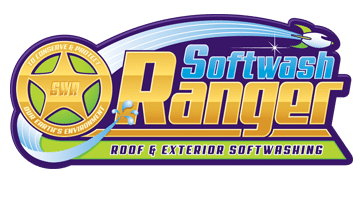 At Softwash Ranger, we can not express enough that we use a delicate blend of environmentally friendly detergents to thoroughly clean and restore any exterior surface without causing damage. Our softwasing service is the safest and most effective way to clean your pressure sensitive surfaces. Your satisfaction is our ultimate goal, which is why we are the premier choice for softwashing in the North New Jersey area.